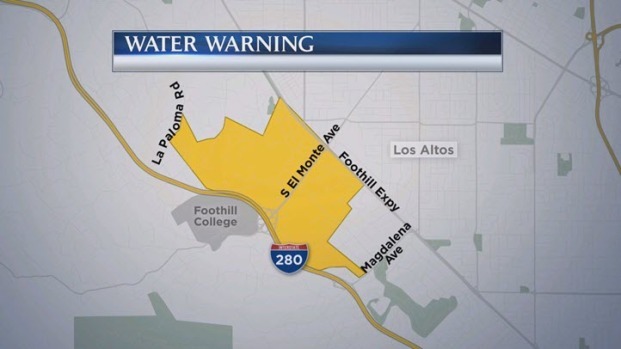 An advisory has been lifted for nearly 800 Los Altos residents who had been ordered to boil water that was initially believed to be contaminated, a California Water Service spokeswoman said. On Sunday, 853 customers in the city's South El Monte area were told to boil their water for a minute before they ingested it, California Water Company spokeswoman Yvonne Kingman said. Test results of the water samples Tuesday found no E. coli in the system, but one hydrant tested positive for total coliform, California Water Company spokeswoman Yvonne Kingman said. Crews have been dispatched this evening to go door-to-door and notify the 792 customers who no longer need to boil their water, she said. Cal Water has found traces of contaminants in the water of the South El Monte area of Los Altos. Marianne Favro reports. The crews will also tell 61 customers to continue boiling their water and provide each of them with a case of bottled water, Kingman said. Those customers need to continue boiling water until the company provides them with an update on their service, she said. The company is investigating how total coliform got into the one hydrant, Kingman said. There have been no reports of anyone becoming sick from water in the area, she said. "We truly apologize for the inconvenience. Issuing this advisory was done because protecting (our customers') health and safety is our highest priority," Kingman said. most of the impacted area sooner than originally expected," customer service manager Chris Wilson said in a statement. "We sincerely apologize again for this inconvenience; protecting our customers' health and safety is our top priority," he said. Reimbursements are available for customers who used bottled water while the boil water advisory was issued. Customers may bring their receipts from the purchases to the company's customer center at 949 B St. in Los Altos, by mail to the same address. Customer with questions on the reimbursement may call the center at 650-917-0152.